In this Health Supplier Segment, Dr. Avi Fischer, MD, talks about the Abbott’s Confirm Rx™ insertable remote cardiac monitor that helps doctors monitor for irregular heartbeats to help reduce the risk of strokes. Confirm Rx™ is placed under the skin during a minimally invasive procedure to monitor your heart’s rhythm for signs of atrial fibrillation. This can detect arrhythmias and transmit data via Bluetooth to your smartphone with an app called Merlin.net™ Patient Care Network, allowing your doctor to have real-time access anywhere in the world on how your heart is performing. Avi Fischer is Divisional Vice President, Medical Affairs and Medical Director for Cardiac Rhythm Management (CRM) within Abbott Cardiac Arrhythmias and Heart Failure. Prior to this position, as Vice President of Global Education, Avi led a global team responsible for customer and employee education and training across all products and therapies for St. Jude Medical. 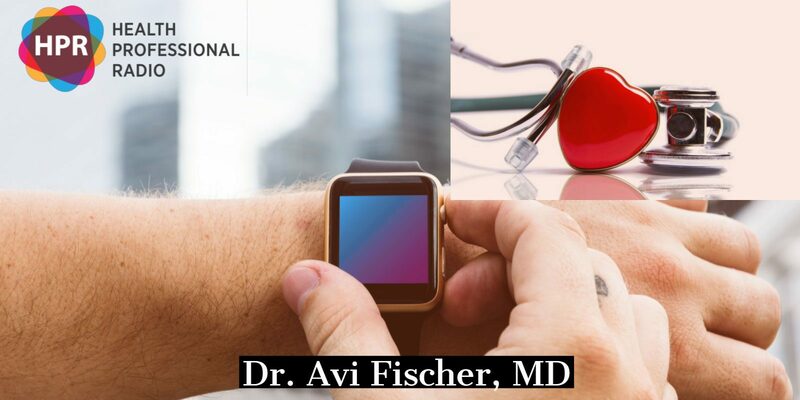 Avi joined St. Jude Medical in June 2012, serving as Vice President, Medical Affairs and Medical Director for the St. Jude Medical Implantable Electronic Systems Division. To know more about Abbott’s Confirm Rx™, click here. Neal Howard: Welcome to Health Professional Radio. I’m your host Neal Howard, thank you for joining us today. Our guest for this Health Supplier Segment is Dr. Avi Fischer, he’s here to talk about Abbott’s Confirm Rx™ insertable remote cardiac monitor. It’s a device that helps doctors monitor the irregular heartbeats to help reduce the risk of strokes. Welcome to the program Dr. Fischer, thank you for taking the time. Dr Avi Fischer: Thank you very much for having me on the show. Neal: Now you are here representing Abbott, could you give us a brief background about yourself and talk about your role there at Abbott? Dr Fischer: Sure. So I’m a physician by training, I am what’s called a cardiac electrophysiologist, so that’s a cardiologist that specializes in heart rhythm abnormalities and I am a Divisional Vice President of Medical Affairs within our Cardiac Arrhythmias and Heart Failure business and I’m the Medical Director for our Cardiac Rhythm Management portfolio of products and that portfolio includes implantable pacemakers, defibrillators and our insertable or injectable cardiac monitor. Neal: Needless to say, you’re well versed in how the heart operates. We’re going to talk today about cardiac arrhythmia, what is a cardiac arrhythmia and some of the symptoms? Dr Fisher: So a cardiac arrhythmia essentially is an abnormal heart rhythm. The heart rhythm can be abnormally slow or can be abnormally fast and depending on which condition that the patient has, the symptoms can range from something as severe as passing out or fainting to simply shortness of breath, palpitations or the sensation of a rapid heartbeat. So again, depending on the specific abnormal heart rhythm, there can be a variety of symptoms associated with the condition. Neal: So is it fair to say that if a heartbeat is irregular, one way or the other, it increases the risk of stroke significantly? Dr Fischer: So that’s a good question. And the risk of stroke is more closely to a specific rapid heartbeat which would qualify as an arrhythmia and the condition that I’m referring to is a condition called atrial fibrillation and that condition is where the upper chambers of the heart beat very rapidly and very erratically and almost fibrillate or sort of quiver if you will, that’s where the name comes from and as a result of that atrial fibrillation, there is an increased risk of clots forming and the potential risk for stroke. Not all of the cardiac arrhythmias that I described at a very high level earlier are associated with stroke, atrial fibrillation is. Neal: Is this a rare condition or is it fairly common? Neal: So needless to say, we’re talking in the millions at least I know here in the United States, is this similar condition happening worldwide as far as as you know? Dr Fischer: So yes, so you’re correct. So millions of patients every year are diagnosed and treated for this condition. As other parts of the world are becoming what we refer, we always say more westernized, so as the rest of the world is becoming more western, unfortunately associated with that our increasing rates of obesity, diabetes, hypertension and yes we’re seeing much more atrial fibrillation not just in the US but around the world. Neal: At the outset of our conversation, I mentioned a brand new technology that your firm has developed, Confirm Rx™- it’s an insertable cardiac monitor. Why do these patients need to be monitored in the first place? Dr Fischer: Yeah, great question. And one of the roles of this monitor is to make this diagnosis, so the monitor is inserted or implanted just under the skin and is a self-contained device that has a battery and has capabilities to monitor and record the heart rhythm. The device lasts for several years based on the battery and some of the symptoms that I described earlier can then often be tied to a specific abnormal cardiac rhythm that can be detected through this device. So there are some patients who get this device after presenting to to the hospital or seeing a physician in clinic with symptoms that I described, “Doc, I have palpitations. I feel my heart racing. I feel short of breath. I have symptoms.” But at the time that they’re in the office the electrocardiogram that records the heart rhythm is normal and so one of the ways that this device is used is that it’s implanted, inserted into the patient, the patient goes home, lives their life, lives and then performs their activities of daily living but they have this monitor that is recording and looking at the heartbeat 24 hours a day, seven days a week, 365 days a year. An information that is recorded by the device can then be retrieved and viewed and looked at by clinicians and allied health professionals such that if I were to have the device implanted in me now and while I were on the phone with you have symptoms of palpitations, I could trigger a recording myself, it could then be associated with the symptoms that I’m having and that information is then readily viewable and available to the healthcare provider to in some ways make a diagnosis and obtain additional insight into disease processes. Neal: Now when you say trigger yourself, are you manually triggering or is this something that’s automatic once your heart rate reaches a certain level? Dr Fischer: So both. So there are some automatic triggers. So there are settings in the device itself which will automatically make a recording of what the heart rhythm is doing when the heart rate goes too slow or when the heart rate goes too fast. These are programmable and customizable for the individual patient and the indications for the implantation of this device. But at the same time and this is one of the unique features, this is the first device of its kind to have this feature, this is a device that uses and engages the patient using their own handheld smartphone via a very simple and intuitive device app that was created specifically for the device. And so the patient can use their own smartphone, they can record, they can transmit events, they can tie and associate those events with symptoms and then all of that information can then be transmitted directly at that time by the patient to the healthcare provider. Neal: Give us a little bit of information about where we can go and learn more. Give us the name of the device again and talk just a little bit about what do you see ahead in the monitoring technology. Dr Fischer: Sure. So a we can we can provide you more information, I guess through our website abbott.com. The device itself is called the Confirm Rx™ Insertable Cardiac Monitor (ICM) and the mobile app that’s associated with the Confirm Rx™ device is the myMerlin™ mobile app, it’s available both for the iOS and Android platform of devices. And when we think about the future, it’s important to really understand and I can’t underscore this enough, remote monitoring technology – the ability to obtain and to monitor and to some extent manage patients remotely – has been an important tool both for patients and for physicians. And the medical literature is full of studies and evidence supporting the fact that remote monitoring leads to better patient care, better outcomes. So remote monitoring is a very critical piece of medicine today. Like any technology, we as an industry, we as a company will continue to look for ways to improve, to enhance and to further the technologies associated with remote monitoring. And as a leader in remote monitoring, we continually work with physicians and the clinical community to better understand the unmet needs and opportunities that are present to help improve the care of patients and patient outcomes. Neal: Significant during may being National Stroke Awareness Month. Dr Fischer: Absolutely correct, yes. Well said and again as the first smartphone compatible device on the market, this device really has had an impact on the delivery of care. The feedback we have received from physicians and patients around the world have used this device really point to it being convenient, user-friendly and easily sort of understood by the user and we look forward to continuing to explore opportunities with this type of technology as we bring forth other devices in this space moving forward. Neal: And once again the website is abbott.com? Neal: Thank You Dr. Avi Fischer for joining us here on this Health Supplier Segment. Dr Fischer: My pleasure, thank you very much for having me.